Unlimited pages created & managed from your admin area. WHMCMS allows you to add as many pages as you need, with a WYSIWYG editors like CKEditor and TinyMCE you don't even have to know about HTML or CSS, just enter your content as you may do in any text editor (eg. MS Word). Managing WHMCS navbars never been easier. With WHMCMS you can add, manage and customize your navbar links easily, with few clicks you can add icons, badges, translations and even sorting links using drag & drop, without the hassle of writing complex Action Hooks to the same thing. Create separate FAQ page for each of your products and services. 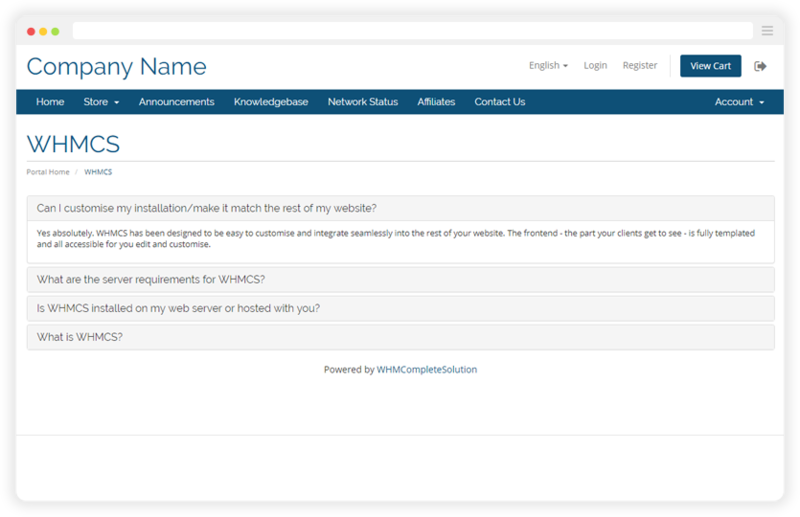 Have multiple products and/or services that you need to add a Frequently Asked Questions page for, it's easy with WHMCMS to do that. Ever needed to showcase your projects? 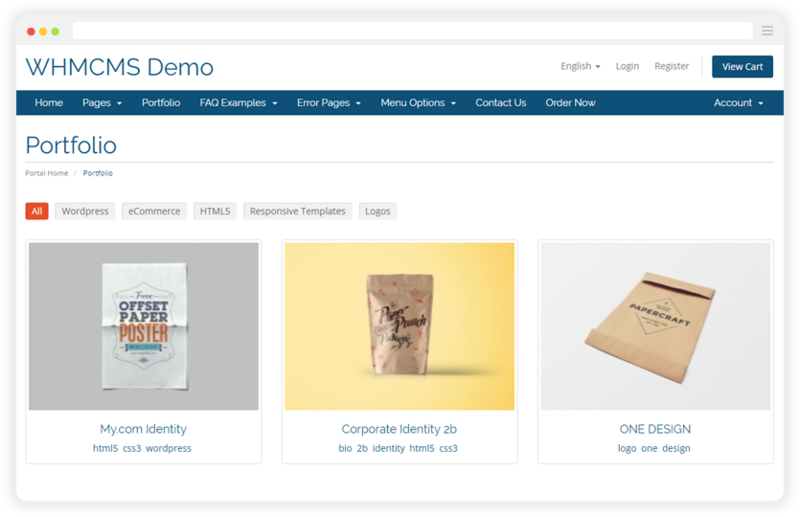 WHMCMS will help you upload and showcase your work in an organized way, add details about each project, screenshots, etc. Display informative and customized HTTP error pages. 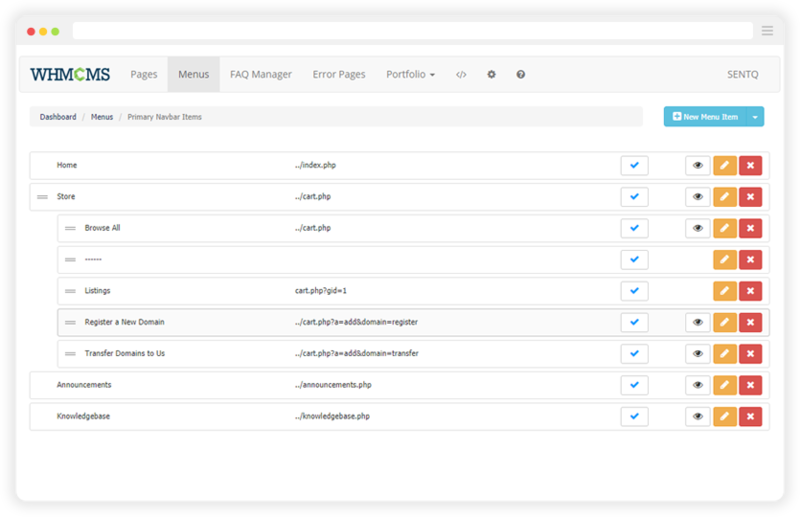 WHMCMS help you customize a template for error pages on your domain entirely in terms of form and content, rather than using the default server error pages. 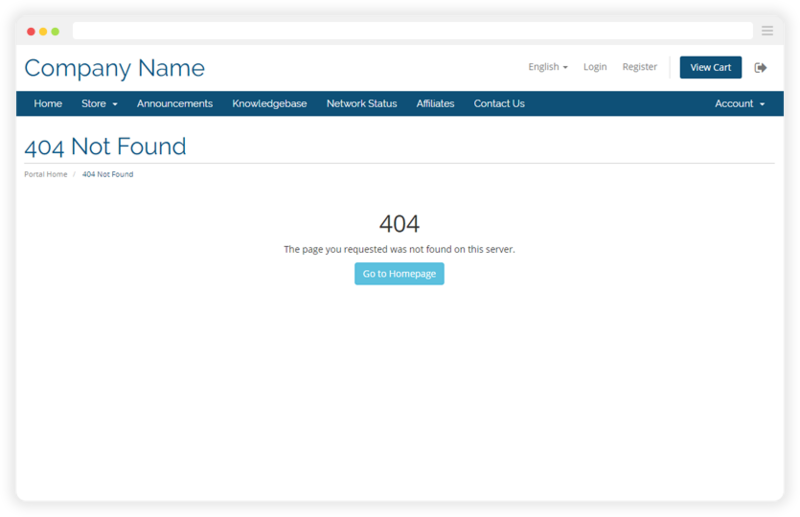 Invalid WHMCS URLs automatically display WHMCMS 404 error page even when disabled. 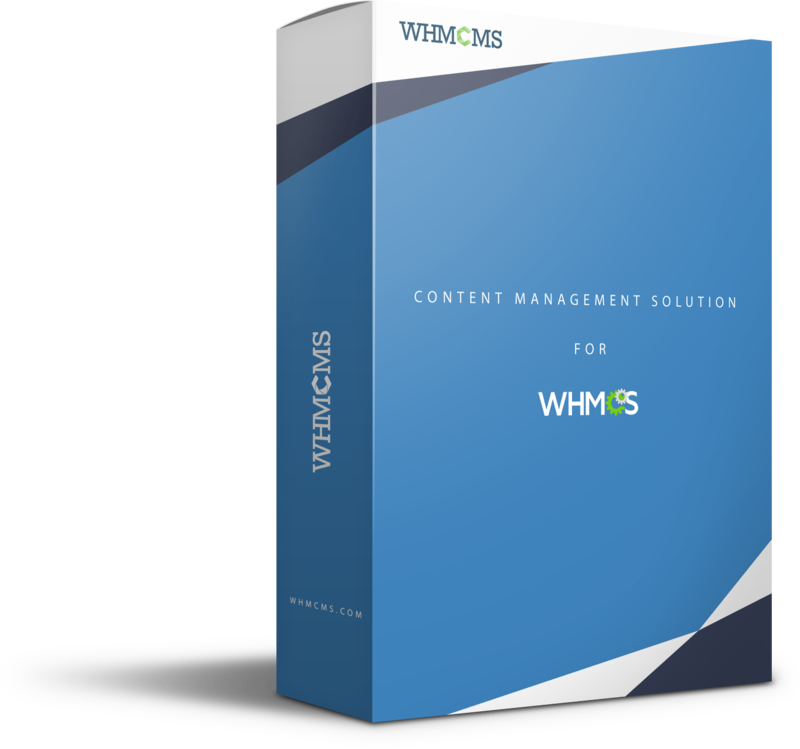 Effortlessly build translated pages, navbars, etc, WHMCMS gives you the ability to translate every aspect of your content simply. URLs, keywords, descriptions and Open Graph meta tags, WHMCMS handle it all to make your website social and search engine friendly. 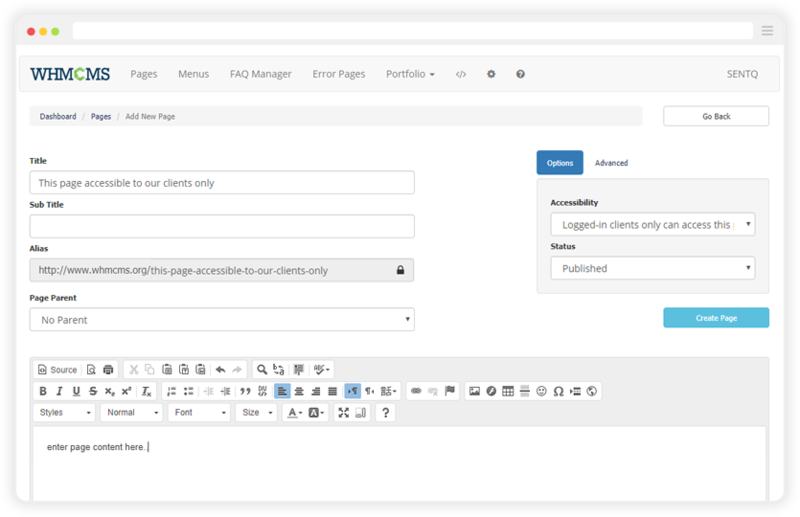 Set different design for each template you have, write Action Hooks to extend and overwrite client area content, you control everything. This is a great module which is over looked by many, I would highly recommend it along with their support that has been brilliant from the start. Really time-dependent reply get to us from support side and it's help us to complete project with-in the time frame.